The GA super speeder law is a tax grab. Settling the misdemeanor traffic ticket, under GA law, triggers this ADDED penalty being stacked on top of whatever you paid at traffic court. If the super speeder has a Georgia driver’s license, it will be suspended. This sets up the scofflaw for being arrested for driving while suspended (driving under suspension) when and if any other traffic pullover occurs, or an automated tag reader (see computerized set-up in police car trunk below) sends out a patrol car to look for the person wanted on a bench warrant. Any late payment will cause a $50 additional penalty to be added. Plus, when you go to reinstate, you may have to pay your court or DDS GA, or both, a fee. Any permit to drive in GA issued by GA DDS (GA DMV) will be suspended also, such as a learner’s permit, a limited driving permit or an interlock permit available to a first offense DUI driver.Non-Payment of Super Speeder GA Penalty causes License Suspension. Any person not licensed in Georgia who fails to timely pay a super speeder ticket also will have his or her privileges to drive in GA suspended. This is done on the Georgia Department of Driver Safety computer, and will signal any law enforcement officer to arrest the person for driving suspended. So, if that same person gets pulled over on Georgia roadways in the future, and this suspension of driving privileges is found, he or she will be taken straight to jail. Police in Georgia rely upon the Georgia DDS records to make an arrest for DUS (driving under suspension or driving while suspended). Typically, the Georgia law enforcement officer will check each detained driver by name and date of birth, looking for “wants” and “warrants” for this driver. What is the Purpose of the GA Super Speeder Law? The purpose is to let the State of Georgia collect money after police stop high-speed drivers, who are caught flaunting speeding laws. Most tickets are supported by a speed check from police radar or police laser devices, so that “scientific” verification of the speeding ticket “number” can be established in court. When the speeding ticket is upheld, in court, and the driver was exceeding the mandate of Georgia speeding laws, another added TAX of $200 is collected by the State of Georgia, by means of the DDS GA mailing out a notice of this money being due and payable. The Legislature’s goal of the GA super speeder law is money-generating, which follows a consistent theme of Georgia lawmakers for the past 15 years. The GA Super Speeder Law adds this monetary cost onto citizens with a lead foot, who are not likely to complain, or have any little political clout. Are Points Added for Super Speeders? Most states track how many “points” are accumulated on a driver’s license over a fixed period of time. The super speeder laws have no provisions for adding points to any driver’s record. This function already occurs at the criminal case disposition. Assessment of points, for a speeding ticket, is just one place that points get added to your Georgia driver’s license. Many other types of traffic tickets carry points. 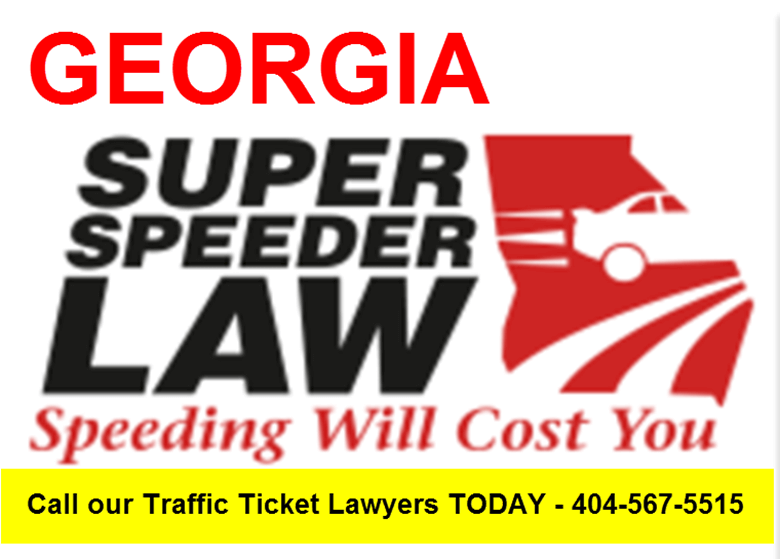 In GA, the super speeder law does not ADD points, but (under GA laws) points will follow any speeding conviction of 15 mph or more over the limit. Again, the ticketed driver must deal with super speeder law Georgia on two fronts, to assure being able to drive. Super speeders who miss the payment deadline of 120 days, and are suspended by the Georgia Department of Driver Services have to pay a $50 reinstatement fee on top of the $200 super speeding assessment. Once the $50 amount and the $200 super speeding payment have cleared, this will “undo” the suspension, and the violator will be reinstated to drive in GA.
Until both of these amounts are paid, a driver will NEVER be able to drive in Georgia without fear of arrest. The use of automated license plate readers (tag readers) may be basis for a pullover and arrest for driving while suspended. [See images above, for two types being used in the USA]. The ALPR sends information on your vehicle to police nearby, and you will be pulled over due to the suspended license alert caused by finding your tag information. The Georgia Department of Driver Services (DDS GA) makes payments of super speeder or other fines easy to accomplish. This can be made by check, money order, cashier’s check, or by credit card. Go to www.dds.ga.gov, and type in “online payments.” Remember, Georgia DDS has NOTHING to do with the criminal case, for speeding tickets. That is handled in your traffic court, which must have already occurred, for any super speeder GA tax to be due and owing. Our traffic ticket lawyers, William Head, Larry Kohn and Cory Yager, have a statewide network of expert traffic ticket attorneys, and can refer you to a specialist, if your case is outside the metro Atlanta area. Call our 24-hour lawyers for a FREE lawyer consultation. 404-567-5515. 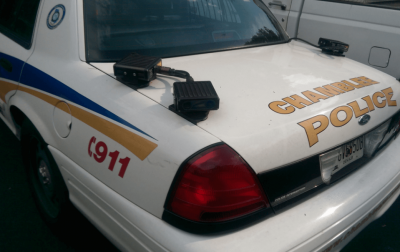 Georgia law enforcement now has thousands of ALPR devices (automated license plate reader) like the one below, on fixed posts, retaining walls and police cars. These high-speed computers show an outstanding warrant or suspended license in less than 2 seconds. This is doubly true for every Georgia super speeder. To protect your driver’s license, call us on any violation of the super speeder law in Georgia, or a speeding ticket that is too expensive or too much trouble to return to Georgia. Call 41-year veteran Atlanta attorney Bubba Head today and get honest answers to all your questions.